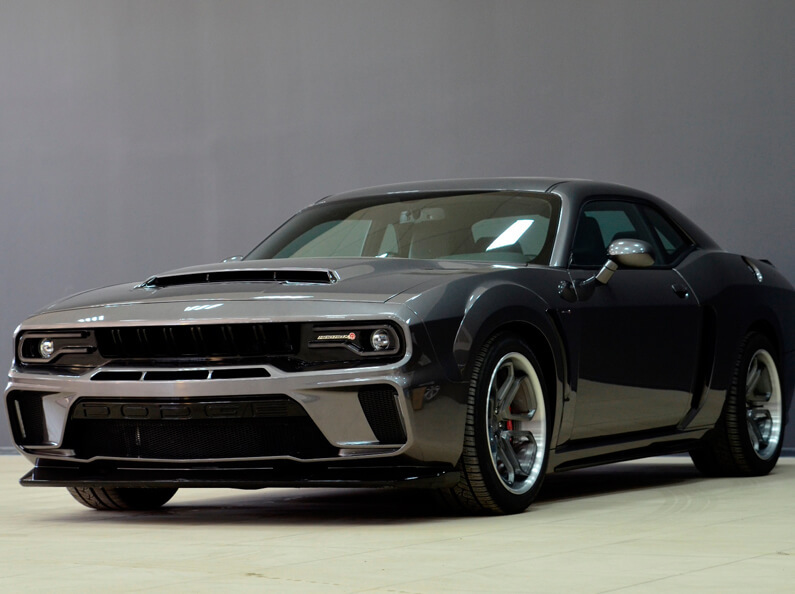 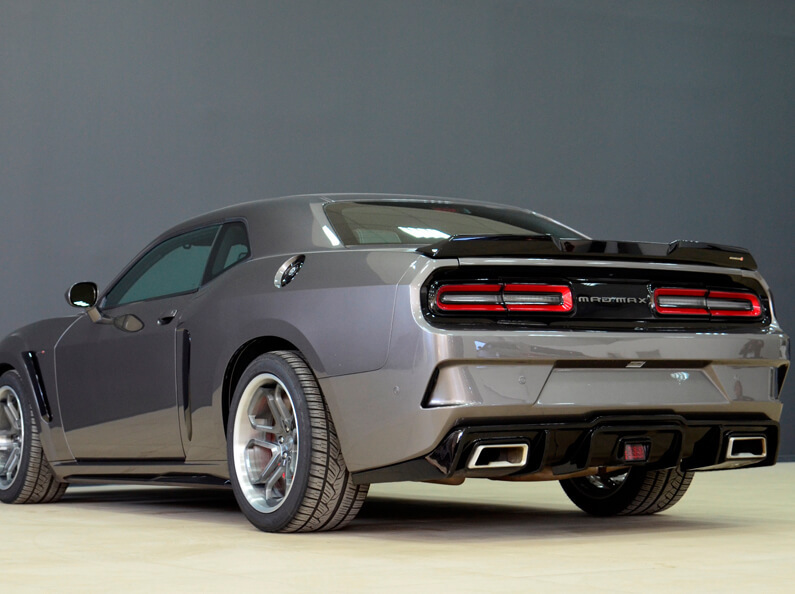 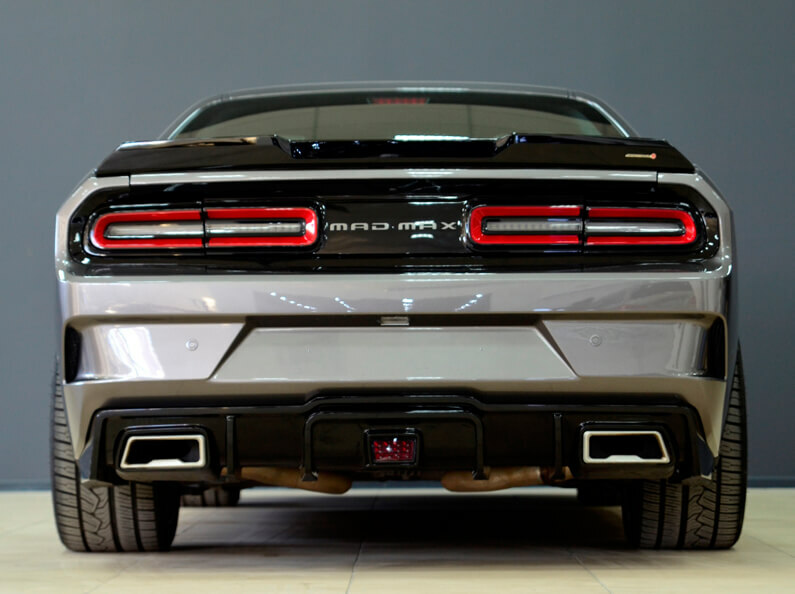 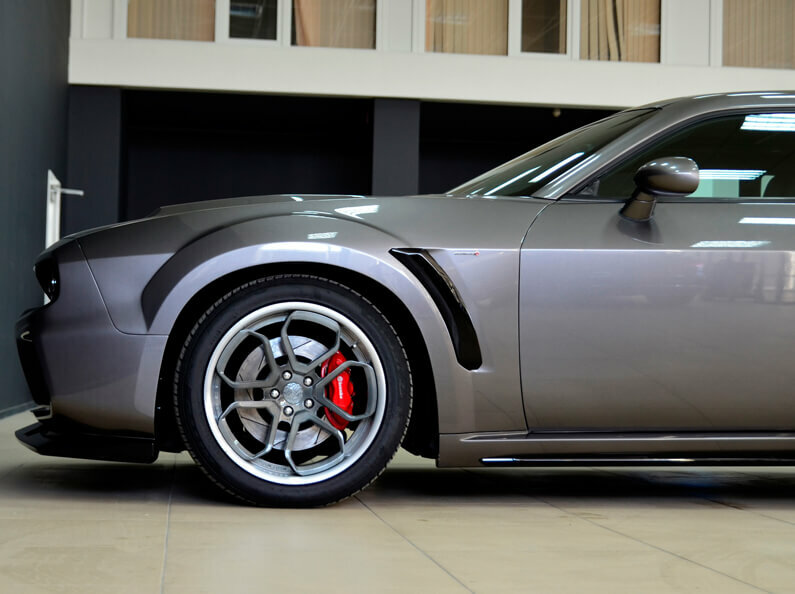 SCL Performance offers sales and installation of body kit components for Dodge Challenger © Mad Max 2018, including the following components: front bumper (with grille), rear bumper, hood/bonnet, front fender replacement, rear wheel arch extensions, side skirts, diffuser, front bumper inserts, DRL, exhaust tips, brake light in F1 style, side skirt splitters, mid spoiler, custom headlights. 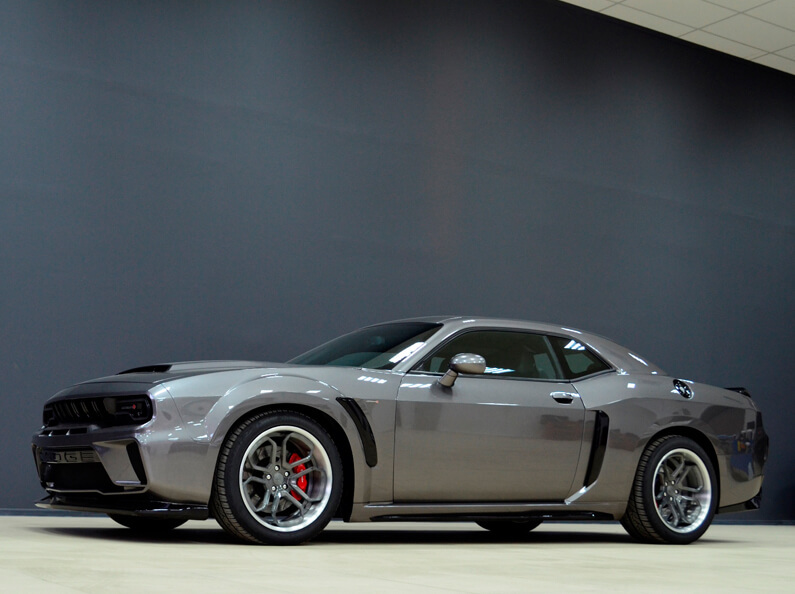 This body kit fits all Dodge Challenger models beginning from 2008. 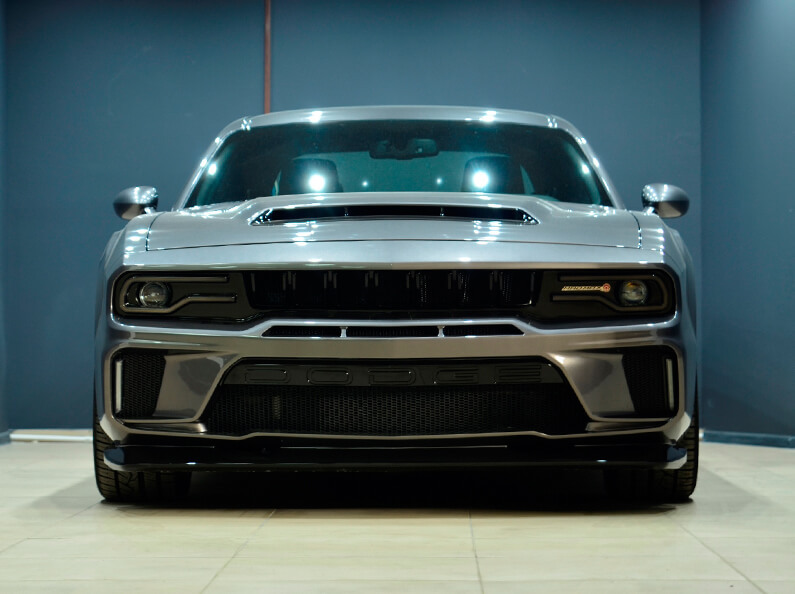 Excellence - the path to leadership.